Sylvan Peak is a Specialty Outdoor Retail - and much more. From skiing to running, biking to hiking we do it all. We have a retail outlet store on the main floor, with a Mountain Shoppe downstairs. 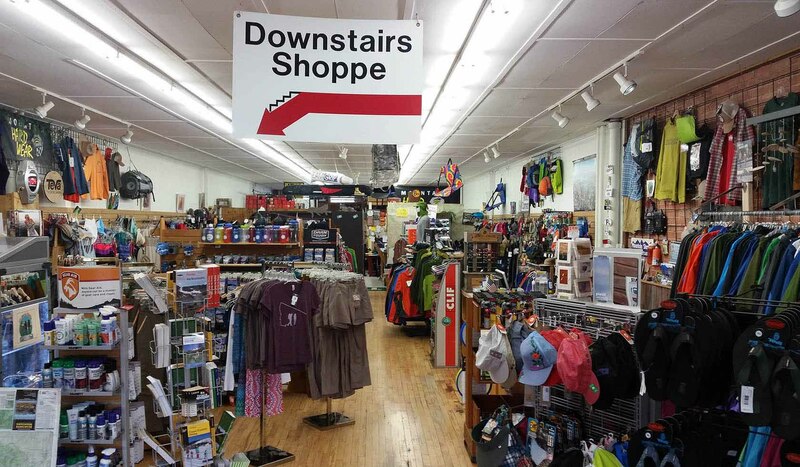 In this shoppe we have all the equipment you'll ever need to enjoy our mountains, from camping and back packing to telemark, cross-country skiing, and snowshoeing. We also rent cross-country skis, telemark skis, and snowshoes. We sell name brands, such as: Sylvan Peak, Marmot, Mountain Hardware, MSR, Danner, Teva, Granite Gear, Osprey, Atomic, Garmont, Sierra Designs, Kavu Clothing, and others. We have a great kids department with hard to find items for active outdoor kids! Let our knowledgeable, active outdoor staff members help you out from suggesting the best ski trail to custom fitting your backpack, boots and clothing! We provide all of the USGS Quad maps and guide books for this area.